For many years, Arctic Paper and the paper industry have been the core of trade and industry in Munkedal. Thanks to good connections with both the E6 and the railways, the municipality is also developing into a centre for logistics. Both the Bohusbana (-line) and the Lysekilsbana (-line) are strong resources for further developing the transport of people and goods. As many as five exits off the E6 are located within the municipality, which means that all of the municipality’s urban areas and countryside are close to the motorway between Gothenburg and Oslo. Planning is underway for a large logistics centre between Håby and Gläborg, where both dry and cold storage for the marine food processing industry in Sweden and Norway is projected. The proximity to Norway is a major advantage. In Dingle, New Wave have based their warehouse for promotional clothing, and parallel to warehousing and logistics being on the rise along the E6, retail develops as well. Apart from this, there’s an array of successful small businesses, above all in the construction sector and green industries. That process engineering know-how is extensive in Munkedal is mostly due to the paper industry having been present in the municipality for so many years. In order to secure the future supply of expertise, Arctic Paper cooperate closely with the upper secondary school for process engineering in Munkedal, which offers training programmes combined with professional practice, with a focus on manufacturing within the field of process engineering and environmental applications. The agricultural upper secondary school in Dingle is focused on agriculture, horses, small animals, gardening. As a result of trade and industry in Munkedal developing towards logistics and trade, businesses with expertise in the field of international trade, logistics and customs services have based themselves here. The municipality’s ambition is to always have industrial plots available. In part for being able to meet existing businesses’ expansion needs, and in part for accommodating businesses that want to establish themselves here. The main town of Munkedal has two industrial and trading estates; Smedberg and Säleby. Both are situated only some hundred metres from the Håby junction, with proximity to the E6. Also in other parts of the municipality, industrial plots are available. Industrial premises can be rented from both the municipality and private real estate companies. Business and office spaces can be found in several of the municipality’s towns. There are plenty of non-profit organisations who have local development in Munkedal as their main objective. Ten fibre network suppliers have together realised a fibre-optic network for broadband that delivers a high capacity throughout the entire municipality. Each part of the municipality has its own development group that focuses on the development of the area and the community as a whole. Munkedal’s municipality participates in several development projects, and by virtue of these, a good contact network with other municipalities and authorities can be achieved. There are several private players active in developing attractive lakeside locations in Munkedal’s municipality. The new dwellings are being constructed in settings close to the Torreby castle and golf club. There are plans for developing a horse riding village with access to stables in the proximity of Håby and Smedberg. New buildings have been erected and several more, also with a link to the horse business, have been planned. The municipal housing corporation intends to built several tenement buildings with modern apartments directly adjacent to the square in Munkeldal, where one has access to services, shops and public transport. 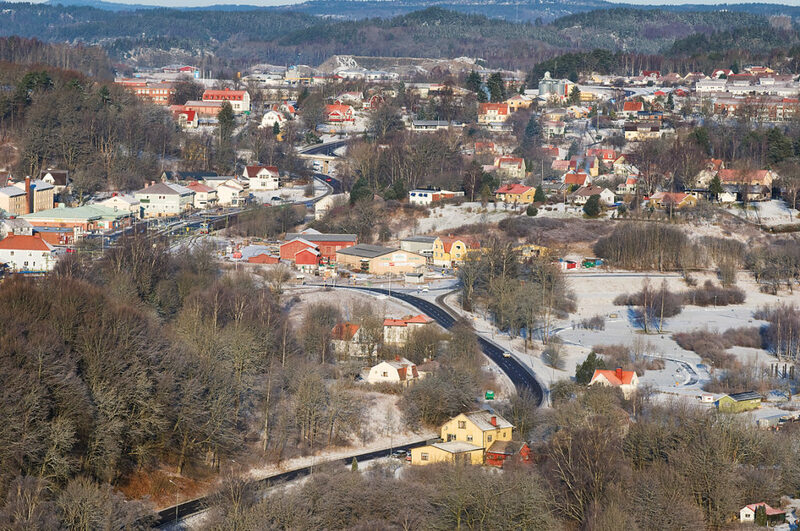 Munkedal’s municipality can also offer attractive housing in the countryside, where you can get connected to the fibre-optic network as well. The authority for economic growth has awarded Munkedal’s municipality with the title of pilot municipality for the development of new innovative solutions for services in rural areas. The objective is that the countryside too should be vibrant with activity. Munkedal in northern Bohuslän resembles a bridge between the sea and the land, the coast and the scales. It’s a distinct rural municipality, where almost half of the inhabitants live out in the countryside. Many work in agriculture or forestry. Munkedal is above all known for its salmon-rich Örekil river, the golf course with its extensive tradition at the Torreby castle by the Gullmar Fjord, and its popular mountain climbing facilities. Both the coast as well as the hinterland offer a rich natural and cultural heritage. In the Sörbygden lies the wildscape of Kynnefjäll, which has nature trails and canoeing routes. The area has a rich cultural history, with relics from the Bronze and Iron Age still present in today’s cultural landscape. The local cultural sector and the cultural heritage are cherished by the municipality, associations, trade and industry, the adult education association and the music school, and concerts, art exhibitions, cultural activities for children & youths, courses and other activities are organised by means of cooperation or individual initiatives. The supply of recreational activities is extensive, and the most prominent sports are golf, canoeing, football and ice-hockey. Many associations manage their own facilities, which are complemented by the municipal sports halls.